Navid is a registered Professional Engineer (P.Eng.) in BC and has experience in sustainability consulting, green building research, building design and construction, project management and R&D since 2009. In 2018, Navid obtained his Ph.D. in Sustainable Engineering from the University of British Columbia (UBC) with a focus on sustainable and net-zero building systems. Over the past decade, Navid has managed a wide range of sustainable building projects and collaborated with academia, industry and government partners on many R&D projects. Navid was selected as a Young Future Energy Leader (YFEL) in the World Future Energy Summit 2010. Since then, he has been invited to present his sustainability ideas at many national and international conferences including MIT Energy Conference (USA), World Sustainable Building Conference (Spain) and CSCE Conference (Canada). 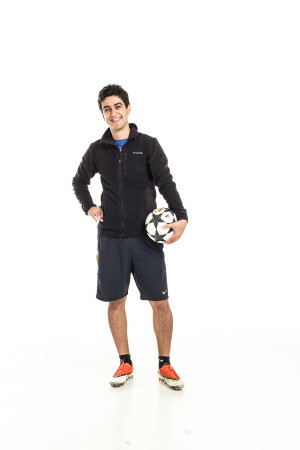 Aside from work, Navid is very passionate about soccer and tries to hit the pitch whenever he can.